With one month to go until December, we have a delightful range of advent calendars to suit youngsters and adults alike. 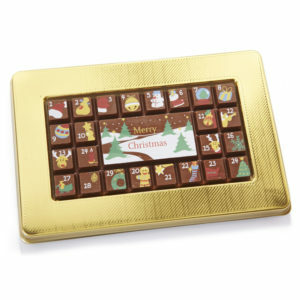 First up, we have our fabulous 24 piece milk chocolate calendar, roughly the size of a sheet of A4 paper, this calendar is made up of 24 individual domino-sized pieces of seasonally decorated solid milk chocolate. And for youngsters, why not try our advent calendar slab? 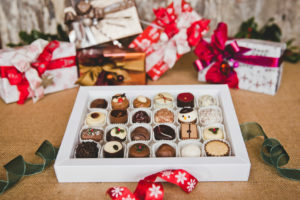 Formed from Belgian milk chocolate in one solid, delicious slab, each day through December, another seasonally decorated square is broken off and enjoyed, leaving the large central piece for Christmas Day. 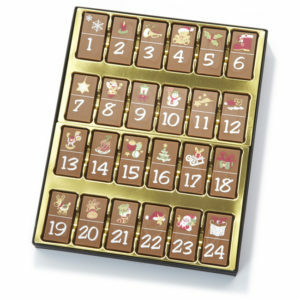 For that special someone (or if you really want to treat yourself this year), we have our Deluxe Chocolate Advent Calendar. At first glance, this looks like a regular advent calendars, with small pieces of chocolate hidden behind each numbered door. 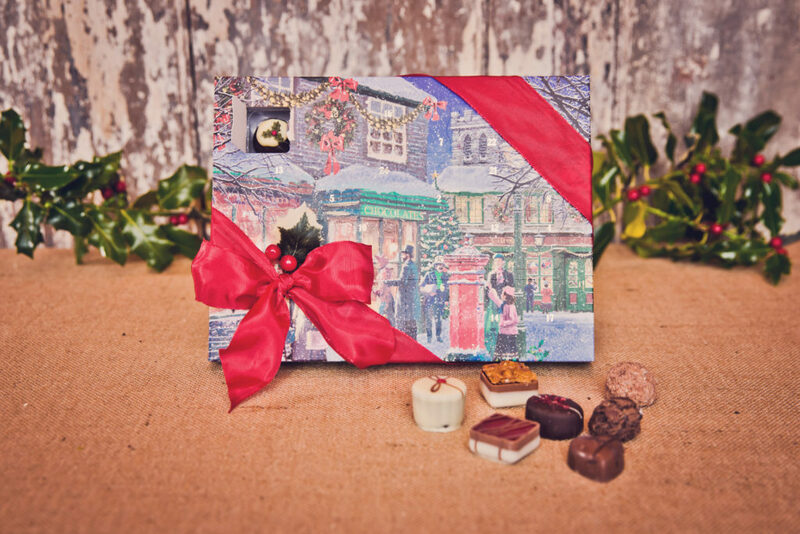 However we take this to another level, by filling the calendar with 24 different individual chocolates from our range, culminating in more an more festively decorated and flavoured chocolates as you get closer to Christmas. Here’s what we put in last year’s calendars. We have even greater flavours this year! All of the calendars are available from our Seasonal section online, or from our Barnard Castle store, while stocks last.